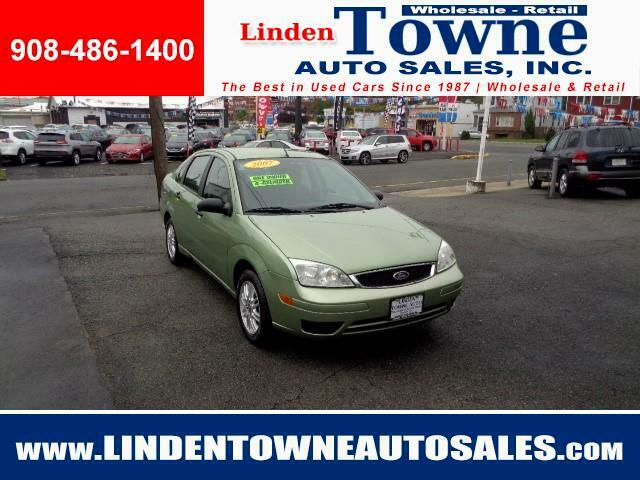 Used 2007 Ford Focus ZX4 SE for Sale in Linden NJ 07036 Linden Towne Auto Sales, Inc. The 2007 Ford Focus ZX4 SE is a One Owner and has a Clean CarFax - No Accidents / Damages Reported. Linden Towne Auto Sales Inc. Offers a Free 6 Month / 7,500 Mile Power Train Warranty. The Power Train Warranty Covers: Engine, Transmission, and Drive Axle Assembly. Linden Towne Auto Sales Inc. is Family Owned and Operated since 1987. We sell our vehicles at Wholesale Prices to The Retail Public. All Our Vehicles are New Car Dealer Trades. Please visit Linden Towne Auto Sales, Inc. online at www.lindentowneautosales.com to see more pictures, videos, and information of our entire inventory. Message: Thought you might be interested in this 2007 Ford Focus. Linden Towne Auto Sales, Inc.
130 E. Saint Georges Ave.
Linden Towne Auto Sales Inc. will provide at Free CarFax Report on every used vehicle we offer for sale. We will send a copy of the report upon request at no extra cost to you. Please Email us, Call Bruce at 908-486-1400, or Text Ian at 908-884-7429 for your Free Carfax Report today.